The MCI E4500 LX series provides transportation in ultimate luxury. 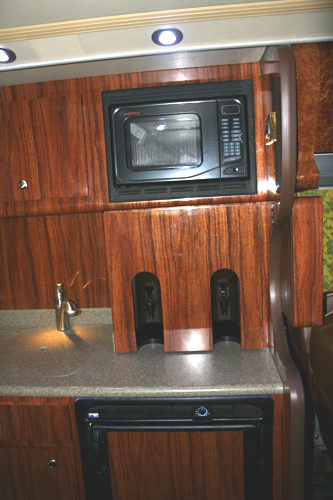 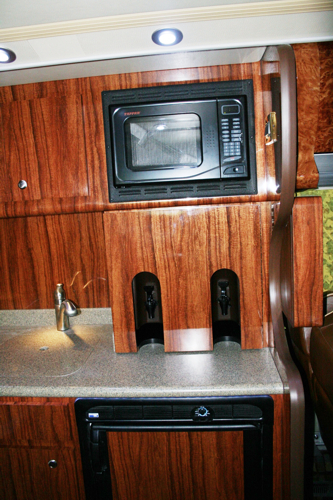 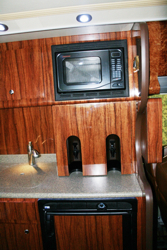 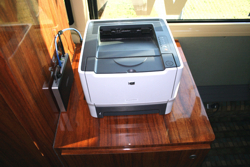 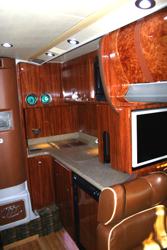 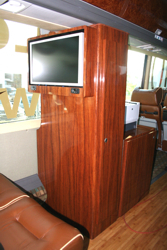 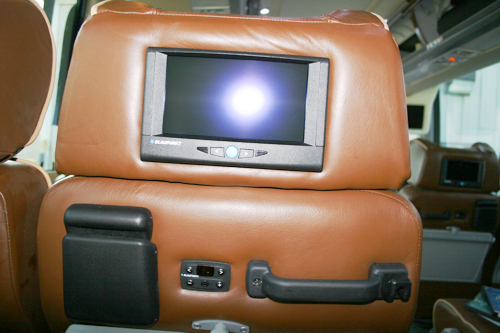 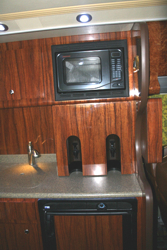 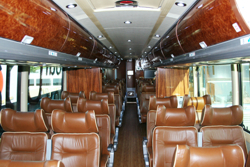 This LX was created for Royal Coach Tours located in Northern California. 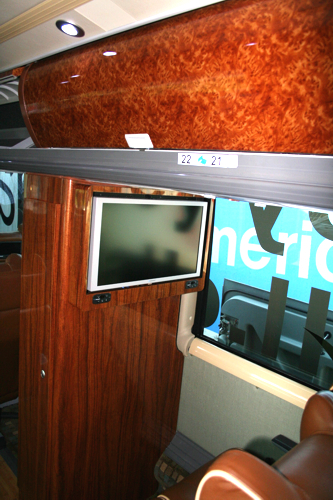 The concept behind the series is to provide the opportunity for bus companies to design an interior that best fits their business objectives. This top-of-the-line bus is comfortable, stylish and practical. 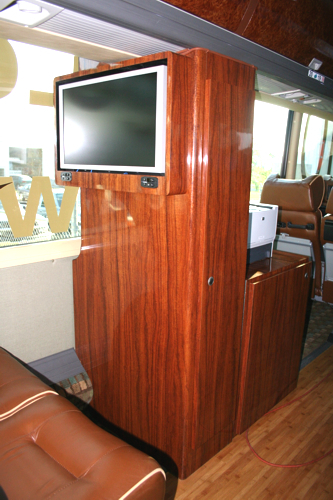 This gorgeous coach includes conference tables and a rear galley with Euro-style cabinetry and solid surface counters with ample workspace. 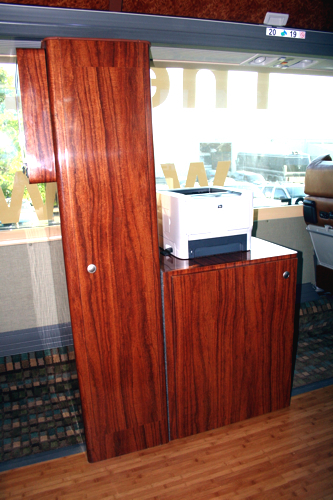 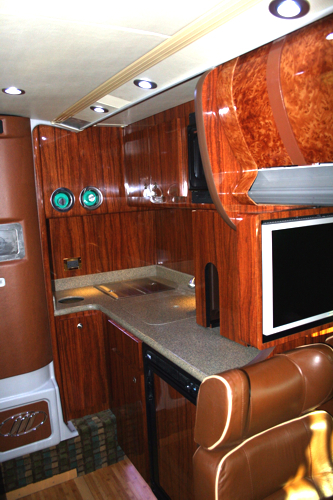 Custom laminated cabinetry and special accent lighting throughout this beautiful custom tour bus. 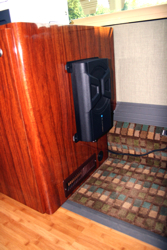 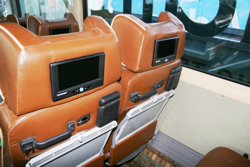 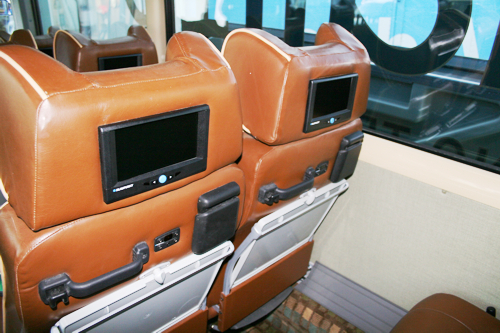 Eight 110-volt outlets were installed throughout the coach tp allow passengers place to charge and/or operate electronics. 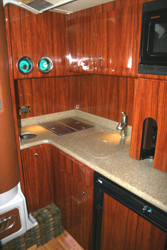 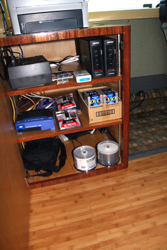 The custom tour bus galley has Corian counters, hand made cabinets, under counter refrigerator, microwave, drink dispensers, and pull out trash bin.